You have helped us to get this point and we can't wait for you join us!! Please come on down to 483 Grand Street in Williamsburg. We are a few blocks from the Lorimer stop on the L/G lines...so please come on down!!! 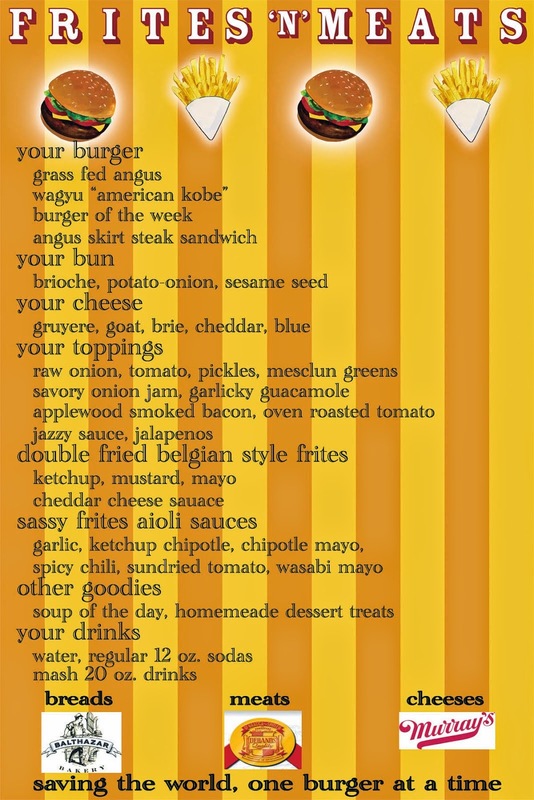 Our great burgers and frites are here but now you can enjoy them in a pretty cool environment with a nice cold one!! The Burger Palace will still be roaming the streets for events, so do call us!! Fri Off The Road. Happy Holidays!! This week's BOTW - The Utopia Burger - Seasoned Grassfed Angus Patty with White American Cheese, Applewood Smoked Prosciutto, Sauteed Grape Tomatoes & Truffle Butter on a Brioche Bun.